Barring ones with expletives, Amazon has never taken a review down. Why then are they suing reviewers? It seems a bit like Goliath bothering to hunt down David - Amazon yesterday announced it has filed suit against over a thousand fake reviewers. And because it's virtually impossible to name one thousand people in a suit, they've simply been addressed as 'John Does' - people with fictitious Amazon IDs and a dubious record of reviews. This may seem like an overreaction to some. Because there are, quite literally, millions of reviews on Amazon. Do a few fakes matter? Can they even be identified? Is it worth a corporation's time and money to hunt this statistically-negligible set down? 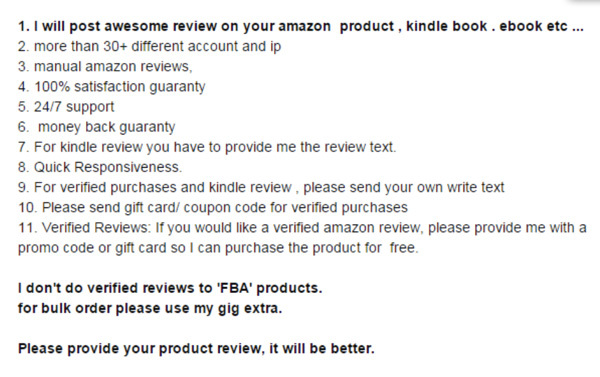 It's not like Amazon doesn't tackle fake reviews when they encounter them - the corporation has already taken action against sites like Buyamazonreviews.com, buyazonreviews.com, bayreviews.net and buyreviewsnow.com. Yes, those are full-fledged businesses where for as much as a few thousand dollars, or as little as five, you can buy reviews to your taste - from satisfied to suspiciously ecstatic. But to understand why Amazon considers its reviews - most of which will remain unread on the back-pages of the website - its holy grail, we have to dig deeper. 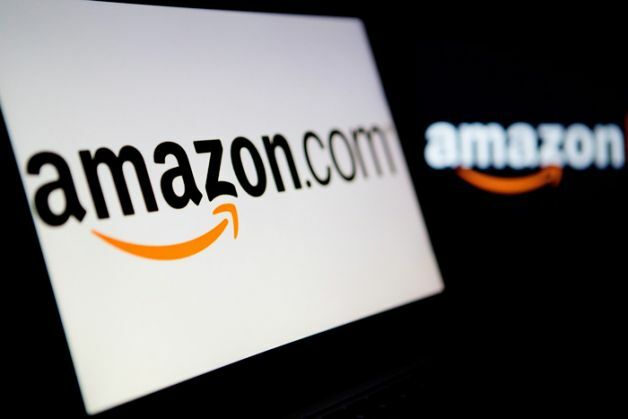 Amazon has never been interested in cannibalising the customers of other e-retailers. 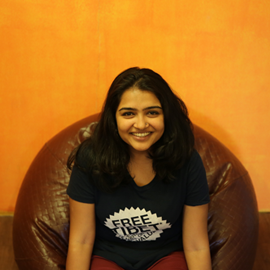 What they're really interested in: bringing more customers to e-retail. In other words, Amazon has never just wanted to increase their slice of the pie. They wanted to expand the pie itself. And this was no mean task. Convincing people new to the internet twenty years ago to give up touch-and-feel purchases for ones on the internet was their biggest challenge. Convincing them to put their credit card details online to buy these products they hadn't seen even more so. So they created Amazon Fulfilled, a system wherein Amazon vets and stocks higher-selling products, guarantees their quality, ensures timely delivery and allows for returns - for no extra cost. And in markets like India, where people have been generally mistrustful of internet transactions, they went an extra mile and aggressively pushed their Cash-On-Delivery programs. But where Amazon really does well is with crowdsourcing feedback on products. The Amazon star-rating (out of five) that is an average of all customer-ratings, is generally considered a pretty good measure of customer experience, delivery, and product quality. And since it comes from (supposedly) neutral buyers like you and I who are equally wary of being scammed online - reviews held more weightage with customers than anything the corporation itself could have said or done. Because unlike an advertisement or a marketing campaign, Amazon Reviews provides the truth - or at least the illusion of it. Founder Jeff Bezos knew that the success of Amazon Reviews hinged on their authenticity. And to preserve their sanctity, he has ensured that no review, however, awful, has ever been omitted or deleted. But with the singular exception of reviews that contain expletives, Amazon has muffled none. Some of the internet's most successful businesses have been built on this concept - think Rotten Tomatoes and TripAdvisor, for example. Both rely equally on the fact that the most trusted reviews are those that have been crowdsourced. But unlike these film and resort reviewing websites, Amazon has an added responsibility - of actually delivering and taking responsibility for the reviewed product. When a Tripadvisor review is proved wrong, the hotel or restaurant suffers more than them. When an Amazon review is proved wrong, Amazon suffers more than the company whose product it is selling. Hell, there's even a WikiHow for spotting fake Amazon reviews. Which means bogus reviews - commissioned and paid for - are Amazon's greatest nemesis. 1114 defendants, whose identities Amazon doesn't yet know, have been sued for violating Amazon's customer rules, which forbid paid-for or fictional reviews. Each of the defendants has offered a false review service on Fiverr.com, with the promise of a glowing five star review. But this, (along with taking on websites that sell fake reviews), isn't all Amazon is doing to go after them. In June 2015, they began to change the way the review system works. Rather than simply publish an average of all reviews, they've begun to weigh each review. Reviews from verified accounts, more recent reviews, reviews that receive upvotes from fellow users, are each given a higher weightage. This aims to reduce, if not entirely eliminate, the impact of fake reviews. It's a battle we can all get behind - when Amazon is scammed by a fake review, the customer suffers as well. Trustworthy reviews mean more educated choices for us. The only thing we're rooting for Amazon to leave untouched? 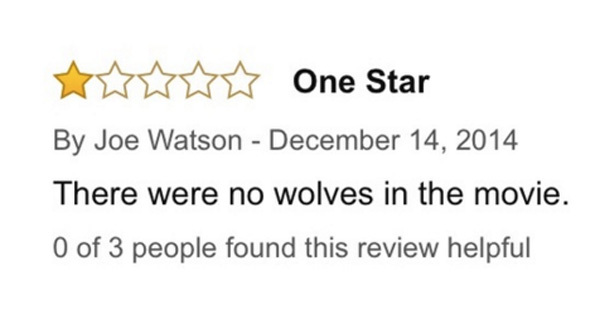 The awesome world of Amazon Movie Reviews. TWEET THIS Warning: this article contains the words Amazon + review more times than we'd like. It's necessary Barring ones with expletives, Amazon has never taken a review down. Why then are they suing reviewers?